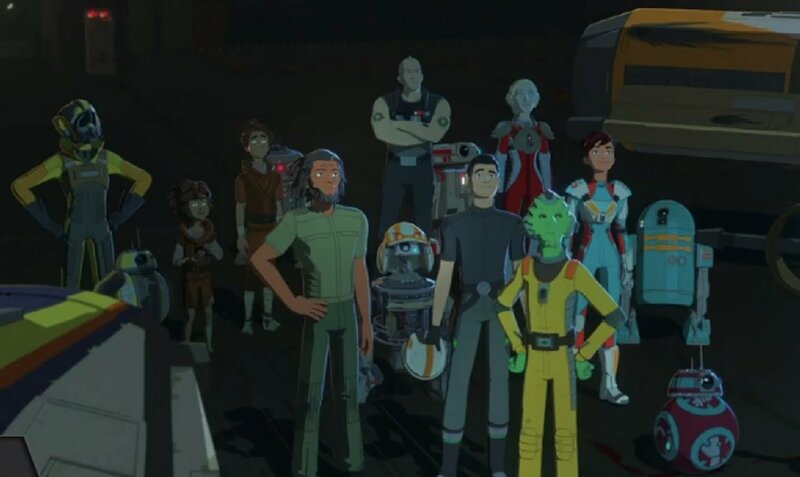 Discussion in 'Star Wars: Resistance' started by SWNN Probe, Apr 16, 2019 at 5:43 AM. Star Wars Celebration is winding down to its conclusion but, that doesn’t mean there is no news left to share. 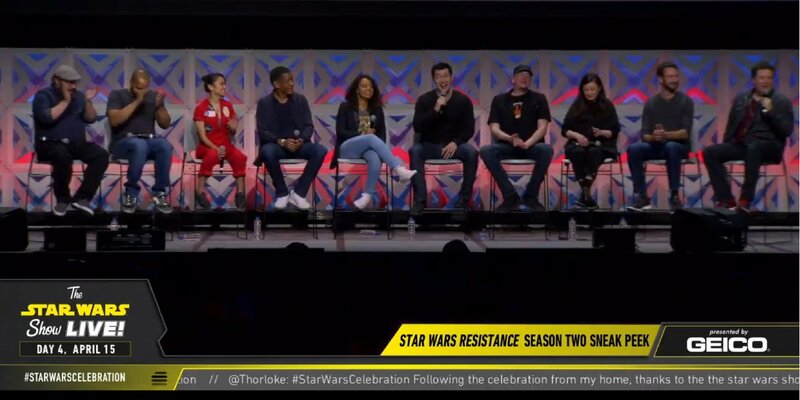 Monday afternoon brought us the panel for Star Wars Resistance. Many of the creators and cast got together to discuss their process, characters, and oh yeah… those lucky enough to be in the room got to see the entire first episode of season two. The rest of the panel focused of the process behind the creation of the show. Dave Filoni wasn’t in attendance today, but got lots of praise from the entire panel for his work in creating the show. Justin Ridge, Athena Portillo, and Brandon Auman from the creative team were on hand to discuss the shows origins. The original concept was built out by Filoni and Art Director Amy Beth Christianson, but was handed off to Justin Ridge to act as showrunner. Ridge explained that the basic idea behind the show was to see a slice of life starting from just before the events of Star Wars: The Force Awakens. The show would follow these people on the periphery of the coming battle and slowly move with them through the timeline as we catch up to the films. This idea also drew a lot of praise from the cast as well. Added depth was felt by all involved by starting with a concept that feels light and fun while building these complex characters and stories, and then having to watch as they deal with rising tensions and split allegiances. Unfortunately, the live stream cut out just as they got to discussing season two so they could show an episode in the room. But lucky for us, SWNN’s own James Baney was in the room so he was able to give us a little insight into what he saw. I love that Opeepit poster with all my heart. Looks like Tam is wearing some kind of imperial uniform...doesn't look like a pilot's though, but I could be missing something. Tam's uniform is definitely that of a pilot. Did you get into that panel? Did you see the supersecret preview of season 2?!?!?!? Did they say when a release date would happen? Also is it going to be on Disney+?